The challenge today was to draw bread. There are so many different types of bread around the world it took me a while to decide. 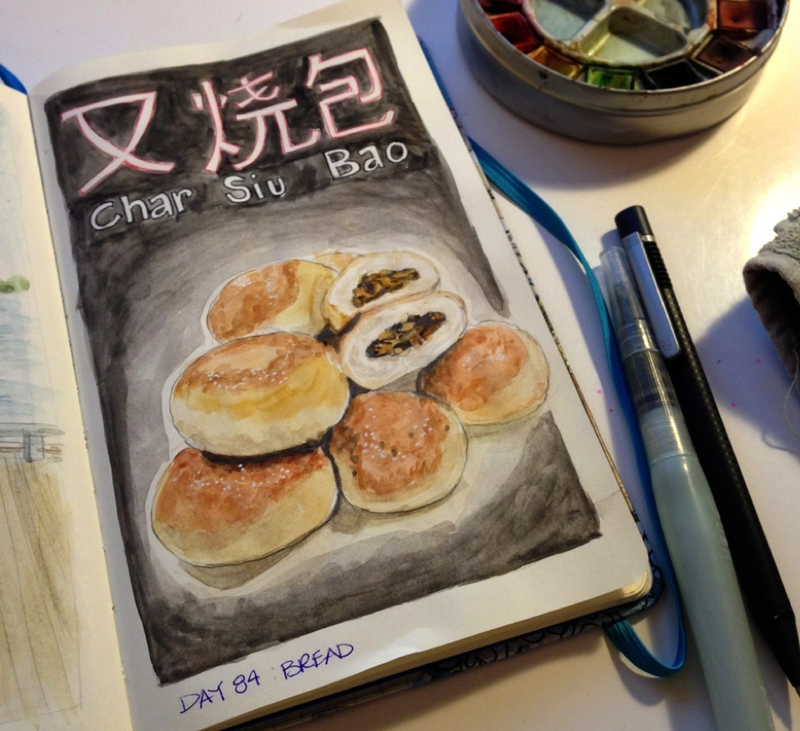 I finally decided to draw BBQ Pork Buns. They are really good. I first tried them a long time ago with friends in Montreal's Chinatown. I was in awe of such an ingenious way to eat what is essentially an enclosed warm sandwich. The cleanest sandwich you can have. Nothing spills out. It's the perfect street food.